Boom Radio is proud to announce that we have entered the international RadioFlag: Radio Star Awards for 2015. RadioFlag’s Autumn 2015 Edition of the RadioStar Awards, which now includes International College Radio participants, encourages Listeners and College Radio DJ’s both on Internet and terrestrial worldwide to unite, engage, promote and protect this incredibly valuable media asset throughout the entire year! 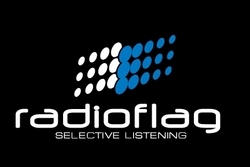 RadioFlag’s history is rooted in College Radio, launching on April 4, 2011, from KUCI on the campus of University of California, Irvine. So they naturally believe College Radio deserves to be celebrated every day – 24/7, elevating its voices and fresh, original content to a larger listening audience, while still “keeping it real.” RadioFlag’s team is comprised of current college students and recent college graduates, in addition to radio industry professionals who started their careers in College Radio. They recognise the challenges College Radio is facing with respect to underfunding and takeovers by much larger organisations, many with conflicting interests.